Homeopathy is a gentle, non-toxic system of medicine. It uses naturally occurring substances in the form of remedies to stimulate the body’s own healing power. The results, although gentle, can be powerful and long lasting. It is suitable for everyone, even sensitive patients, from pregnancy, childhood and adolescence to adulthood and older age. Patients are treated as individuals, and homeopathy addresses all your symptoms – mental, emotional and physical. This is what makes homeopathy a truly holistic and refined art which has been established and refined for over 200 years. 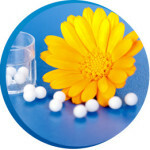 Homeopathic remedies are gentle and non-toxic and may be used in acute and chronic conditions. Homeopathy may also be effective where there is no specific diagnosis. It is recommended that you keep in touch with your regular GP. Please contact your local Homeopath to discuss your symptoms in confidence. Homeopaths choose a remedy to carefully match the patient’s individual physical and mental symptoms along with their emotional state. The remedies are non-toxic and safe to take. They have a pleasant taste and come in pill, powder and liquid form. A broad range of remedies are approved by the Health Products Regulatory Authority (previously known as the Irish Medicines Board) which regulates all medicines in this country. They are manufactured by strictly regulated homeopathic pharmacies. A wide variety of substances from the plant, mineral and animal kingdoms are used to make homeopathic remedies. There are many pharmacies and health shops in Ireland that sell homeopathic remedies. If you cannot find a local stockist, please contact our office for further assistance. Contact us for office details. NB: If you are experiencing a serious medical condition or a medical emergency, be sure to consult a professional homeopath, your GP and/or the A&E department of your local hospital. What Happens when I see a Homeopath? On your first visit, your homeopath will take a detailed note of all your symptoms and a thorough medical history. Establishing good health involves treating both mind and body so the homeopath takes time to listen to both emotional and physical symptoms. They will want to know a little about you as a person, your likes and dislikes, worries, fears, what makes your condition worse or better, when the problem started, family history and so on. The first visit usually lasts 1 to 1½ hours and subsequent visits are usually shorter. Your homeopath will give you a remedy in liquid, pill or powder form with directions on how to take the remedy. Long standing or chronic conditions may take a while to improve although a sense of change should be felt from the beginning of treatment. The length of a course of treatment will depend on the type of complaint and the individual characteristics of your case. Your homeopath will make an assessment at the end of your first visit. All homeopaths who are registered with the Irish Society of Homeopaths are highly trained professionals. They are licensed, insured and abide by our Code of Ethics and Practice. If you would like to see more useful information on How we can Help , please click here. Homeopathy can be used safely and effectively from pregnancy, birth, childhood illness right through to your mature years. Yes, Homeopathy is a safe and non-toxic medicine. It works with your body to bring your immune system and vitality back to balance. Is Homeopathy a form of Herbalism? No, although some of the remedies which are used in homeopathic treatments are made from plants. The two therapies are different in principle. Homeopathic medicines can be made from a wide range of sources which includes animals and minerals. When a remedy is made by homeopathic preparation it is completely safe and non-toxic. Why do I need to give so much detail in my consultation? Homeopathy treats the whole person not just the disease. In order to find the right remedy for you and to treat all your symptoms, it is necessary for your homeopath to gather information unique to you. This enables the homeopath to work individually with your case. The remedy prescribed is based on your story and what you as an individual are suffering, in order to help you to feel well again. Where should I store my remedy? Homeopathic remedies should be stored away from sunlight, preferably in a cool dark place. Remedies need to be kept away from strong smelling substances. This includes medicines, camphor, lotions, perfume, strong aromatherapy oils etc. Can I take homeopathy when I’m on prescribed medications? 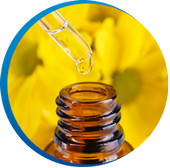 Homeopathic remedies in general do not interfere with other medication and may be taken safely under the supervision of a professional Homeopath. It is important that you inform your GP that you are on homeopathic medicine to support your body. It is also very important to stay on your prescribed medications unless otherwise stated and discussed with your GP. If your GP requires information or feedback on your homeopathic treatment, your Homeopath can make contact with them on your behalf, only with your consent. Please tell your Homeopath about any medicine or supplement that you take regularly and mention any dental treatment you may be having as it could affect your Homeopathic prescription. Homeopathy may be used to complement conventional treatment and in some cases may alleviate unwanted side-effects of conventional drugs. Can I continue to take vitamin and mineral supplements? Yes, you may continue your daily routine of vitamin and mineral supplements while on homeopathic treatment. Depending on your insurance plan, the following private health insurance companies may offer rebates for consultation fees with registered homeopaths. HSF health plan Limited – www.hsf.ie Irish Life Health – www.irishlifehealth.ie Laya Healthcare – www.layahealthcare.ie It is very important to refer to your own policy for your entitlements. Please note that the inclusion of a link on this page does not imply endorsement of the website or organisation by the Irish Society of Homeopaths.